The service is good. Everything is perfect. The material is good. The delivery is fast. I am very happy with all shipments. 1.5m Avencore Crystal Series 2RCA Stereo Audio Cable + FREE SHIPPING! Stereo audio at its very finest. 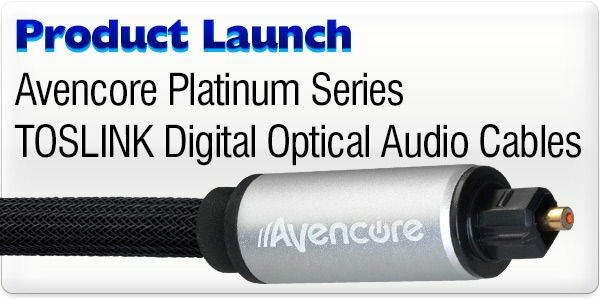 Avencore Crystal Series 2xRCA Stereo Audio cables are a perfect match for your AV system or other stereo RCA home theatre devices! It doesn't get much simpler than 2RCA stereo, but Avencore don't take any chances and build these cables to the same standard as their other terrific Crystal Series products, with a high quality soft PVC jacket covering 24AWG Oxygen-Free Copper cores. Each of the aluminium plug barrels houses a gold-plated male RCA plug and a colour-coded strain relief cuff to ensure a high-quality connection first time, every time. Avencore Crystal Series 2RCA Stereo Audio cables make themselves at home in all your favourite indoor entertainment areas, from your home theatre to your office, and just about anywhere else you need an easily managed stereo RCA audio connection. Answer: "The High-end Speaker cable is a much thicker gauge and able to handle much more power high-powered speakers. This speaker cable is a lighter gauge and is ideal for most home theatre applications." Answer: "AWG stands for "American Wire Gauge" and is the most common way of measuring the thickness of a wire. In AWG, the number, such as 12, refers to the thickness. The larger the number, the smaller the wire. For example, as a rule of thumb, 12 AWG cable has an average diameter of 2.053mm, whereas 16 AWG cable has an average diameter of 1.291mm. Also, to be classified properly as a certain gauge wire, speaker cable must have a certain amount of individual copper strands and they must be a certain thickness as well (0.101mm or 38 AWG). Please also note that the measurement of the wire only relates to the copper strands, not the rubber insulation as well. If you have any additional questions please don't hesitate to ask." Oh, I am very happy. I love Cable Chick, truly. I couldn't believe how quickly you despatched my order and I received it the next day. And now I can get years of old video into my computer easily. Woo hoo!